For the first time, President Obama acknowledged this week that the prohibition of marijuana is unfairly enforced against African-Americans and Latinos, and for that reason, he says, legalization in Colorado and Washington should go forward. Without explicitly endorsing the laws, he told the New Yorker, "it's important for [them] to go forward because it's important for society not to have a situation in which a large portion of people have at one time or another broken the law and only a select few get punished." As the president acknowledged, marijuana prohibition targets black and brown people (even though marijuana users are equally or more likely to be white). Ending prohibition through passing legalization laws, as Colorado and Washington have, will reduce this racial disparity. The war on drugs, as we all know, has led to mass criminalization and incarceration for people of color. The legalization of marijuana, which took effect for the first time in the country in Colorado on January 1, is one step toward ending that war. While the new law won't eradicate systemic racism in our criminal justice system completely, it is one of the most effective things we can do to address it. Here are three concrete ways that Colorado's law is good for people of color. 1. The new law means there will be no more arrests for marijuana possession in Colorado. Under Colorado's new law, residents 21 or older can produce, possess, use and sell up to an ounce of marijuana at a time. This change will have a real and measurable impact on people of color in Colorado, where the racial disparities in marijuana possession arrests have been reprehensible. In the last ten years, Colorado police arrested blacks for marijuana possession at more than three times the rate they arrested whites, even though whites used marijuana at higher rates. As noted by the NAACP in its endorsement of the legalization law, it's particularly bad in Denver, where almost one-third of the people arrested for private adult possession marijuana are black, though they make up only 11% of the population. These arrests can have devastating and long-lasting consequences. An arrest record can affect the ability to get a job, housing, student loans and public benefits. As law professor Michelle Alexander describes, people (largely black and brown) who acquire a criminal record simply for being caught with marijuana are relegated to a permanent second-class status. When we make marijuana legal, we stop those arrests from happening. 2. Unlike under decriminalization, the new law means there will be no more arrests for mere marijuana possession in Colorado, period. In the Jan. 6 article "#Breaking Black: Why Colorado's weed laws may backfire for black Americans," Goldie Taylor mistakenly suggests that Colorado's new legalization law may "further tip the scales in favor of a privileged class already largely safe from criminalization." Much of the stubborn "this-changes-nothing" belief about the new law stems from confusion between decriminalization and legalization. There is a profound difference between the hodgepodge of laws known collectively as "decriminalization" passed in several states over the past 30 years, and Colorado's unprecedented legalization law. Decriminalization usually refers to a change in the law which removes criminal but not civil penalties for marijuana possession, allowing police to issue civil fines (similar to speeding tickets), or require drug education or expensive treatment programs in lieu of being arrested. Because of the ambiguity in some states with decriminalization, cops still arrest users with small amounts of marijuana due to technicalities, such as having illegal paraphernalia, or for having marijuana in "public view" after asking them to empty their pockets. One only need look as far as the infamous stop-and-frisk law in New York, where marijuana is decriminalized, to see how these ambiguities might be abused to the detriment of people of color. In Colorado, however, the marijuana industry is now legal and above-ground. People therefore have a right to possess and use marijuana products, although as with alcohol, there are restrictions relating to things like age, driving, and public use. Police won't be able to racially profile by claiming they smelled marijuana or saw it in plain view. 3. We will reduce real problems associated with the illicit market. As marijuana users shift to making purchases at regulated stores, we'll start to see improvement in problems that were blamed on marijuana but are in fact consequences of its prohibition. The violence related to the street-corner drug trade will begin to fall as the illicit market is slowly replaced by well-guarded stores with cameras and security systems. And consumers will now know what they're getting; instead of buying whatever's in a baggie, they have the benefit of choosing from a wide variety of marijuana products at the price level and potency they desire. Goldie Taylor made the dubious claim that since marijuana prices were initially high in Colorado's new stores, the creation of a legal market won't affect the existing illicit market. But despite sensational headlines, prices for marijuana are just like anything else. They respond to levels of supply and demand. In the first couple weeks, prices were high because only a small fraction of marijuana businesses in Colorado opened, and what looked like every user in the state was in line to make a purchase on the day the historic law took effect. As the novelty-fueled demand levels off and the rest of the stores across the state begin to open, increasing supply, prices will drop. For their money, purchasers can conveniently buy a product they know is tested and unadulterated. And for those who don't want to buy at a store, Colorado residents over 21 are permitted to grow up to six marijuana plants at home. 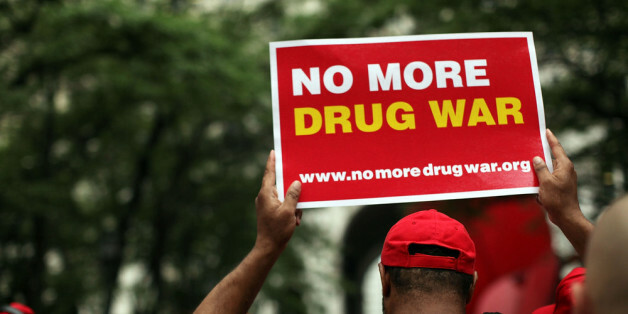 Make no mistake: communities of color, particularly young black men, continue to face injustice in the form of the drug war, and marijuana legalization has not fixed that. Even around marijuana laws alone, there is much more work to do. But the voters of Colorado deserve to be applauded for demanding an end to the thousands of racially disparate marijuana possession arrests of its citizens each year.